An engraved silver disc thought to be the bezel of a signet ring discovered by a metal detectorist in February in Swaffham, Norfolk, has been officially declared treasure trove at a coroner’s inquest in King’s Lynn on Tuesday. It’s a small piece, less than half a gram in weight and just 11 millimeters (.43 inches) in diameter, but all ancient precious metals are treasure trove by British law and this one has particular historical significance as well. 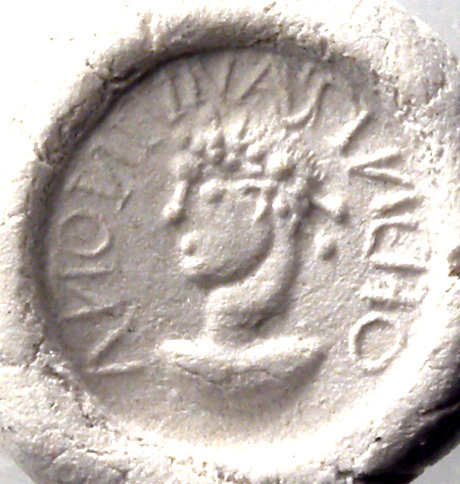 The disc dates to between 312 and 410 A.D. and features a male head in profile wearing a diadem with the inscription “ANTONI VIVAS IN DEO” encircling the figure. The Latin inscription means “Antonius, may you live in God” which is a common Christian formula seen on rings and other jewelry. They’re very rare in Norfolk, however. This ring is only the second “VIVAS IN DEO” ring known to have been found in that county — the first is a gold betrothal ring found in Brancaster — and it’s the only such signet ring. “On one level, of course, this is good negative evidence, implying that most people at the time worshipped the old gods. On another, it shows there were one or two Christians around. The Brancaster ring was identified as a betrothal ring because it had two figures, a male and female, facing each other. Since this is just the one diademed fellow, I lean towards it being an individual special occasion present, like the coming of age or the conversion. Also, the signet ring element sounds more like a graduation gift than a marriage gift. We know it was intended for stamping because the engraving is in intaglio, dug into the silver, and it’s backwards. The inscription is retrograde: it reads left to right only when you’ve stamped it in wax. 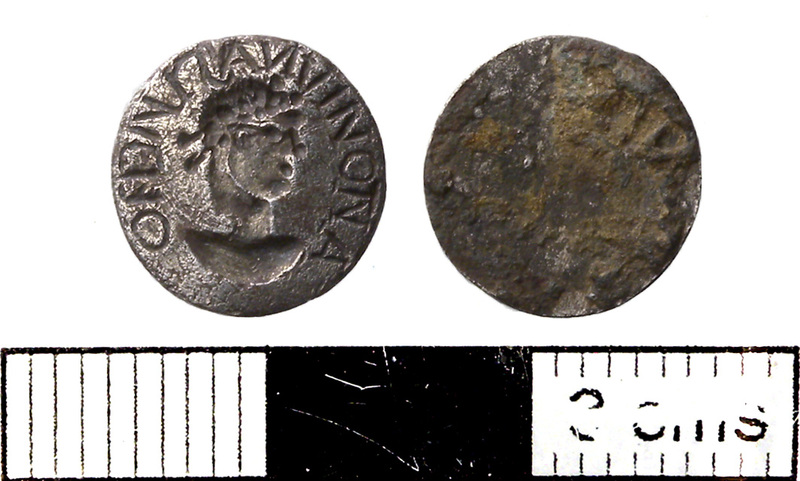 Norfolk coroner William Armstrong also declared another two silver discoveries treasure trove at the same inquest: four East Anglian silver coins (one is actually plated in silver but with a copper alloy interior) attributed to the Iceni tribe, and one Viking silver ingot. 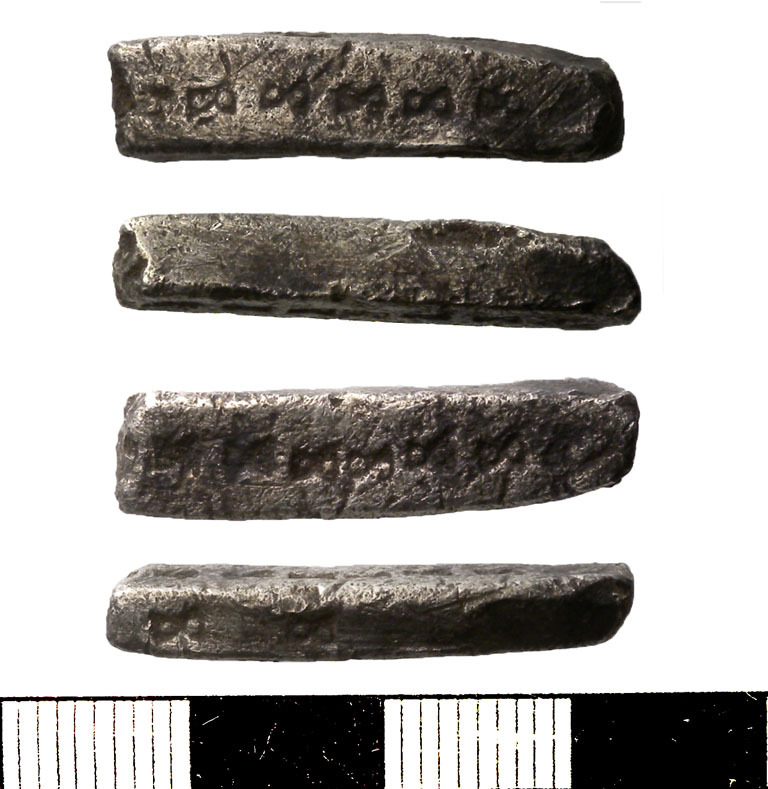 The ingot dates to between 850 and 1000 A.D. and is of interest to historians because Vikings used ingots for currency in this period, so metallurgic analysis might provide some insight into Viking trade practices. It weighs 7.04 grams and is 28 millimeters (1.1 inches) long. One end was broken in antiquity, so it was longer and heavier when it was new. The ingot has also been stamped with a decorative motif of pairs of triangles touching at the peaks which is usually found on Viking jewelry from this time. The British Museum has a piece of a silver arm-ring from the Cuerdale Hoard that bears this same stamp. The next step is for British Museum experts to assess market value of the treasures, which probably will be relatively modest figures. The Norwich Castle Museum hopes to acquire the signet disc and the Viking ingot for its permanent collection.